With its Apo-Tele-Xenar 9.0/600 and 12/800 Schneider-Kreuznach has developed a practical modular design system comprised of one front and two different rear element groups for 8x10-inch photographs. Users can put together a 600 or 800 telephoto by buying the appropriate modules. The strong telephoto effect of the long focal lengths enables the user to overcome long distances facilitates exclusion of backgrounds and helps to achieve new points of view due to the compressed field depth. 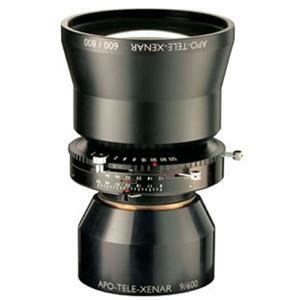 The shortened back focus of the telephoto design allows relatively short bellows extensions to decreases noticeably the risk of blurred outdoor photographs taken particularly with 8x10-inch cameras.